Bhinder or Bhindar is a tehsil in Udaipur District, situated near its border with Chittorgarh District, in Rajasthan. It is located 58 kilometres (36 mi) south-east of Udaipur. Sita Mata Wildlife Sanctuary, Jaisamand Sanctuary and Jaisamand Lake are some tourist spots nearby. Bhinder is surrounded by four lakes. It is 315 km (196 mi) from the state's main city Jaipur. It is served Maharana Pratap Airport. The nearest railhead is at Udaipur. The Bhinder city is divided into 20 wards for which elections are held every 5 years. The Bhinder Municipality has population of 17,878 of which 9,081 are males while 8,797 are females as per report released by Census India 2011. Bhinder Municipality has total administration over 3,605 houses to which it supplies basic amenities like water and sewerage. It is also authorized to build roads within Municipality limits and impose taxes on properties coming under its jurisdiction. The native language of Bhinder is Mewari and most of the town people can speak Hindi.Mostly people from bhinder had been migrated to Mumbai,Ahmedabad and Bangalore. Bhinder is the biggest town in Udaipur district. Kailash Manav a Social Worker from Bhinder awarded Padma Shri. Out of total population, 6,156 were engaged in work or business activity. Of this 4,870 were males while 1,286 were females. In census survey, worker is defined as person who does business, job, service, and cultivator and labour activity. Of total 6156 working population, 85.83% were engaged in Main Work while 14.17% of total workers were engaged in Marginal Work. Bhinder is very known for silver and cloth market, most of business captured here by jain and bohra people. many people of bhinder is working in GULF countries,In Kuwait there is one market known by BHINDER Market(Souq-al-mubarakiya) by local. Bhinder is known for stone Crushing Plant, in bhinder 5( five) crushing plant unit for stone crush n making gitty for RRC work or Road work use. The village of Bhindar was granted to Maharaj Shakti Singh by his elder brother Maharana Pratap, ruler of Mewar, in the year 1578 A.D. as a gift for his assistance in the `haldi ghati' battle. Bhindar is close to Sitamata sanctuary, and other places of historical importance Chittaurgarh, Bambora, Jagat and Jaisamand. 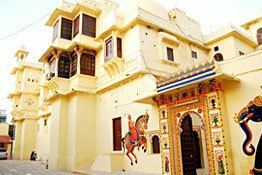 The village of Bhindar is also famous for its artistic swords, gold and silver jewelry, cloth and miniature paintings. MICR CODE : non micr. It is located at Rampol Bus Stand and is the only cafe in town with seating facility and proper ambiance. It serves snacks and drinks. Gulab Singh Shaktawat was an Indian freedom fighter, social and political worker of Indian National Congress. A long serving MLA and a Minister in the Government of Rajasthan from Mewar region, Member PCC, Member AICC. Maharaj SHAKTA, 1st Rawat of Thikana Bhindar, and had 11 wives. He died circa 1576. Shaktawat is the name of a branch of the Sisodia clan of suryavanshi Rajputs. The Shaktawats are patrilineal descendants of Prince Mir Shakti Singh, a brother of Maharana Pratap of Mewar dynasty. Shakti Singh had 17 sons the eldest was Rao Bhanji (of Bhinder). Rao Bhanji and Rao Achaldas were born within months of each other, although Rao Achaldas was born a little earlier, the news of his birth came after Rao Bhanji had been proclaimed the heir apparent. On Shakti Singh's death Rao Bhanji was crowned Rawat and other 16 sons including the eldest Achaldas(of Bansi) went for cremation of their father as was the custom in those days where the crown prince did not leave the palace. When they returned Rao Bhanji told them to leave the palace and fend for themselves elsewhere as he had limited resources for all 17 brothers. The brothers agreed and left. During their journey the pregnant wife of Achaldas was about to deliver then sudden and heavy rains started. At this moment they took her under a tree but a rock was falling onto the place, his younger brother Bheem Singh who was really strong stood under the rock. Rawat Achal Das, he took part in the battle of Untala, he was granted the thikana of Bansi; married and had issue, the Achalawat sub-clan, including the Rawats of Bansi. Kunwar Chaturbhuj Singhji, married and had issue, the Chaturbhujot Sub-clan, including the Thakurs of Hinta, Koon, Gopalpura and Khodiyo Ka khera. He was killed in a battle with Rao Patta Hada. Kunwar Maldeo Singhji, he took part in the battle of Untala, married and had issue, the Thakurs of Kalval. Kunwar Ballu Singhji, married and had issue, the Baludasot Shaktawat's, ancestors of the Thakurs of Ghatiyawali and Putholi. He was killed in the battle of Untala. Kunwar Bagh Singhji, ancestor of the Thakurs of Chitakhera. Kunwar Bhopat Singhji, ancestor of Thakurs of Dhanwada, Nawanagar, he died fighting Mir Rukundi at Kolikhol. Kunwar Dalpat Singhji, ancestor of Thakurs of Bawal, he fought bravely at Battle of Untala and died fighting Mir Rukundi at Kolikhol. Kunwar Sujan Singhji, ancestor of the Thakurs of Gangani. Kunwar Mandan Singhji, ancestor of Thakurs of Sonaheda. He died at the Battle of Untala. Kunwar Madan Singhji, he died at the Battle of Untala. Kunwar Jagganath Singh, he died at the Battle of Untala. Kunwar Sultan Singhji, he died at the Battle of Untala. Rawat Madho Singh, married and had issue. Rawat Jagat Singh of Kolyari, married and had issue. Rawat Lal Singh, he was granted the thikana of Sheogarh. Rani Damiyanti, married Raja Maha Singh of Amber. Rani Sahiba Sisodniji, married Rao Surtan Singh of Bundi. Maharaj BHANJ, 2nd Rawat of Thikana Bhindar 1594/1605, he took part in the battle of Untala, married and had issue. He died in 1605. Thakurani Jam Kanwar, married Thakur Vithal Dasji of Rinsi, and had issue. Maharaj PURAN MAL, 3rd Rawat of Thikana Bhindar 1605-1611, married and had issue. Maharaj Chatar Sal, he was granted the estate of Kunthawas. Maharaj SABAL SINGH, 4th Rawat of Thikana Bhindar 1611-1635, served in the Mughal Imperial Army with 2500 zat and 1000 sawar. Maharaj MOKHAM SINGH I, 5th Rawat of Thikana Bhindar 1635-1681, married and had issue, seven sons. Maharaj Anand Singh of Mandkla, married and had issue. Kunwar Kalyan Singh, he was granted Sakatpura in jagir. Maharaj AMAR SINGH, 6th Rawat of Thikana Bhindar 1681-1709, married and had issue. Maharaj JAIT SINGH, 7th Rawat of Thikana Bhindar 1709-1727, married and had issue. Maharaj MOKHAM SINGH II, 10th Rawat of Thikana Bhindar 1765-1810, adopted from Dhalopa, married and had issue, two sons. Kunwar Fateh Singh, he was granted the jagir of Bohera, and succeeded there as Rawat Fateh Singhji of Bohera. Maharaj HAMIR SINGH, 12th Rawat of Thikana Bhindar 1827-1878, adopted from the Pansal family (descended from the 12th son of Maharaj Shakti Singh), married three wives, 1stly Rani Chauhaniji of Baneria, married 2ndly, Rani Bhatyaniji of Mohi, married 3rdly, Rani Jhaliji of Gogunda, and had issue. Kunwar Ratan Singh, adopted by Rawat Shri Adot Singhji of Bohera, and succeeded there as Rawat Shri Ratan Singhji of Bohera. Kunwar Duleh Singh, married and had issue. Maharani Birad Kanwar, married 1850, Maharaja Bhairon Singh of Ratlam. Kunwar Balwant Singh, married Kunwarani Bakhtawarji, and had issue. Rani Sahiba Fateh Kunwar, married Maharaj Shambhu Singhji of Ralayata in Kishangarh, and had issue. Maharaj MADAN SINGH, 13th Rawat of Thikana Bhindar 1878-1887, married Rani Chauhaniji of Bedla, and had adoptive issue. 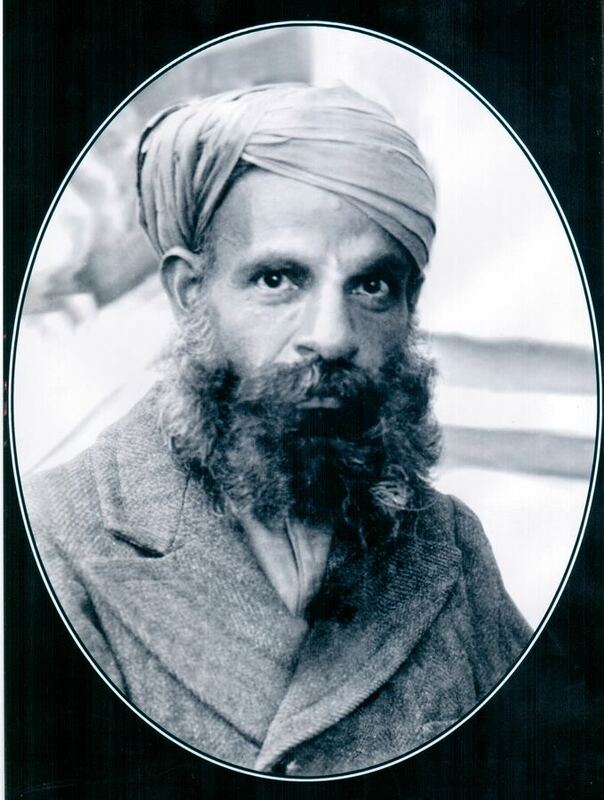 Maharaj KESRI SINGH, 14th Rawat of Thikana Bhindar, born in 1875 and reigned during 1887-1901. He was educated at Mayo College, Ajmer; married 1stly, Rani Chauhaniji of Garhi in Banswara State, married 2ndly, 1891, Rani Govardhan Kunwar, born 1879, daughter of Raj Rana Amar Singhji of Tana, and his wife, Rani Chandra Kunwar, and had issue. Maharaj Tej Singh, he was adopted by Maharaj Kalyan Singhji, 5th Rawat of Pansal, married and had issue. Maharaj MADHO SINGH, 15th Rawat of Thikana Bhindar, was born in 1893 and reigned during 1901-1919. He married Rani Chauhaniji Dariao Kanwar of Sanjeli, and had issue. He died in 1919. Rani Krishna Kumari, married Maharaj Tejraj Singh of Gainta in Kotah State. Maharaj BHOPAL SINGH, 16th Rawat of Thikana Bhindar 1919-1928, adopted by his brother, married Rani Chawri Krishna Kumari of Arjya in Mewar State, and had issue. Kunwarani Sajjan Kumari, married Kunwar Ghanshyam Singh Rathore of Natwara in Tonk State. Maharaj MAN SINGH, 17th Rawat of Thikana Bhindar 1928-1952, adopted by his uncle to succeed him on the gaddi of Bhindar, he was the son of Kunwar Balwant Singh, married 1stly, Rani Solankiji Mohan Kanwar of Dhoriya, married 2ndly, Rani Chauhaniji Chand Kumari of Kotharia in Mewar State, and had issue. Rani Brajraj Kumari, married Maharaj Chiman Singh Rathore of Raoti in Jodhpur State. Thakurani Govind Kumari, married Thakur Dilip Singh Rajawat of Piplaj in Jaipur State. Kunwar Ghanshyam Singh, married Kunwarani Tanwarji Gopal Kanwar of Kelawa in Jodhpur State. Maharaj BHAIRAV SINGH, 18th Rawat of Thikana Bhindar 1952-1967, married to Rani Meratni Anand Kumari of Mithri in Jodhpur State, and had issue, three sons. Maharaj RANDHIR SINGH , 19th Rawat of Bhinder : Maharaj Shri RANDHIR SINGH M.Sc., 19th Jagirdar of Bhindar since 1967 and 1st Class Umrao of Mewar (Rajmahar, Bhinder, Udaipur, Rajasthan, India) born 10 February 1958 in Bhindar, Udaipur; Member of the Vidbhan Sabha (12th); married 7 July 1981, Rani Dipendra Kumari, daughter of Rajkumar Karan Singh Chauhan of Wao in Gujarat, and has issue, one son and one daughter. Rajkumari Hemavati Kumari, married Kunwar Suryavijay Singh Rathore, grandson of Brigadier Thakur Sultan Singhji of Asrasar in Bikaner. Dargah Sultan Ji Sheed Its Kabristhan of Dawoodi Bohra Shia Community located in town, its very beautiful and naturally rich picnic spot.many people around the word come here for ziyarat.there is beautiful breach on pound.best time to visit in rainy season. Keleshvar Mahadev Keleshwar Mahadev is a picnic spot near Bhinder towards Dhariyawad. At Keleshwar JI, couple of templs built on the bank of Gomti River. At this place Old Temple of Lord Shiv situated and woeshiped as keleshawar. Later on a Temple of Kesariya Ji (First Tirthnakar Rishabhdev of Jains and Kaliya Bavji of Adivasi samuday) is also built. Kesriya JI first devotee of Adivasi Samuday. Adivasi samuday take oath in front of Kesriya Ji for remove of evil from himself. This Temple is very well worshiped by Adivsai samudya. In rainy season Gomti river is flow here. In rainy season it is a so beautiful.